The combination of QuoteWerks and Act! makes it easier to provide quotes and proposals to prospective customers, combine sales quotes with business development opportunities in the pipeline, and gain visibility into revenue streams from your products and services. When you are in Act! and select the Notes/History tab, you will see all the quotes that you have done for this Act! contact. You can even double-click on the attachment, and QuoteWerks will open and display the quote the attachment refers to. 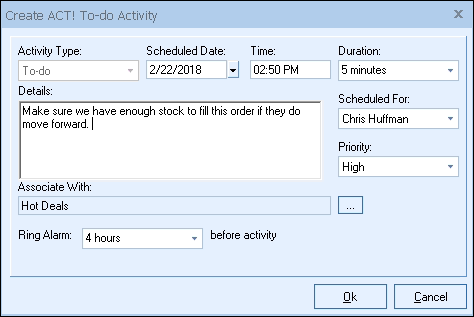 This feature is very useful for organizing and finding your quotes from within Act! (All supported versions of Act!). 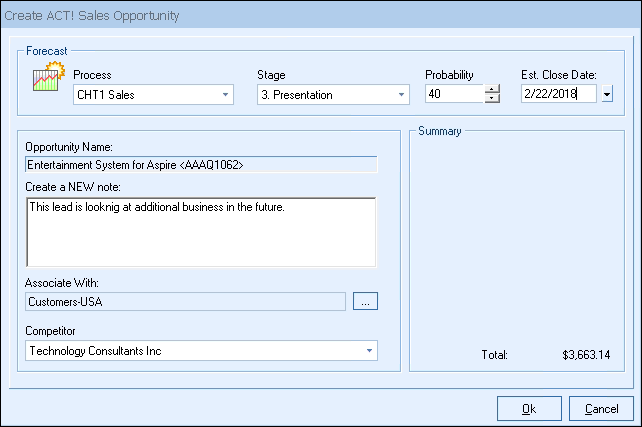 QuoteWerks Creates/Updates Sales Opportunities in Act! 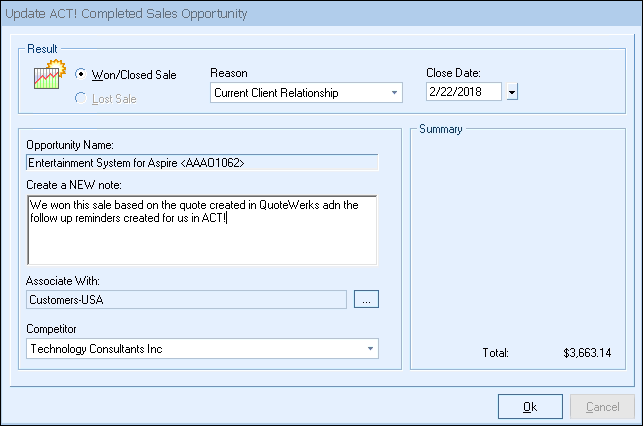 QuoteWerks Creates/Updates updates completed Sales Opportunities in Act! 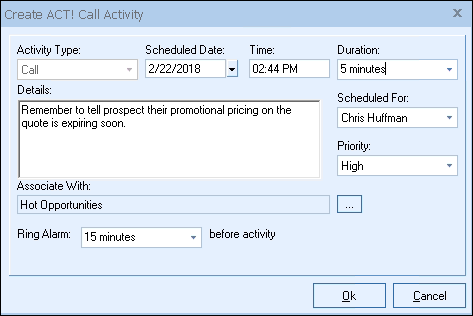 QuoteWerks schedules Follow up calls in Act! 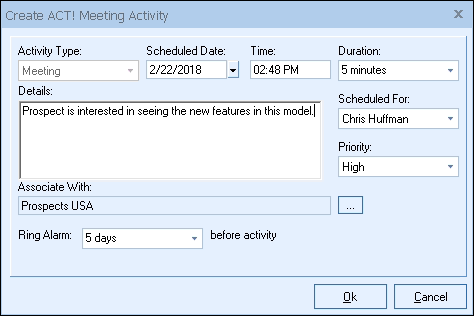 QuoteWerks schedules Meetings in Act! QuoteWerks schedules To-do items in Act! QuoteWerks can pull lookup list information from Act! Many of the fields in QuoteWerks have a lookup list option. When you press the F2 key while in one of these fields, QuoteWerks will display a list of values that you can choose for the field. You can create a macro value that pulls information from a field in Act!. For example, if you press the F2 key while in the terms field in QuoteWerks, QuoteWerks will display a list of terms options that you have previously entered. You can create a new option that retrieves a value from a field in Act! that you use to store your terms. (All supported versions of Act! ).